Our inflatable LED photo booth was in action last night at Moggerhanger Park near Bedford and Milton Keynes. 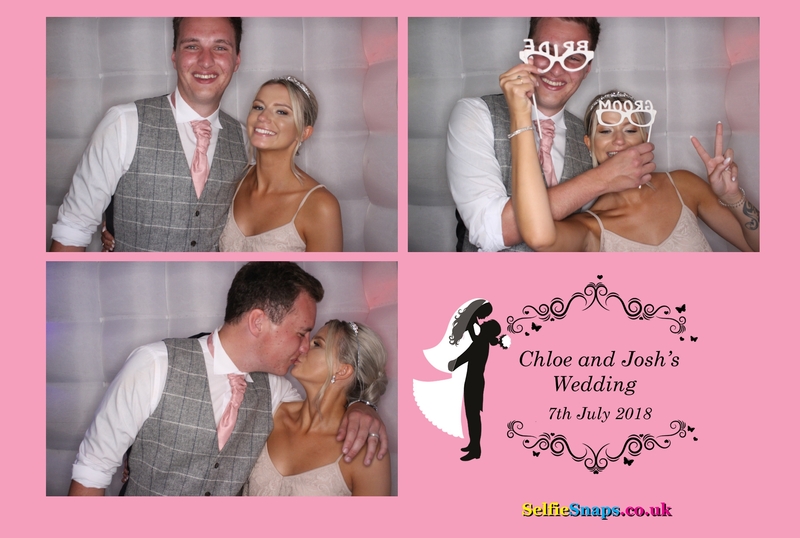 We were hired for the wedding reception of Chloe & Josh who had chosen to get married on a very hot 30 degree day which also happened to be the Football world cup Quarter final of England vs Sweden. Many of the guests kept a surreptitious eye on the game during the reception via mobile phone and tried not to cheer too loudly when England won 2-0 sending us into the Semi Finals for the first time in 28 years ! Moggerhanger House is a Grade-I listed country house in Moggerhanger, Bedfordshire designed by the eminent architect John Soane. The house is owned by a Christian charity, Harvest Vision, and the Moggerhanger House Preservation Trust, and has recently undergone a £7m refurbishment project. The original house at Moggerhanger was small and of Georgian design. The house was acquired by Godfrey Thornton, a Bank of England director, who commissioned the Bank’s architect, John Soane, to remodel it between 1790 and 1793. More substantial work would follow when Thornton’s son Stephen inherited the house. Soane continued from 1806 until the scheme was completed in 1812 while the Bank of England reconstruction was under way. Soane remodelled Moggerhanger entirely, enlarging it to the west, relocating the entrance to the north and reproofing the house completely. He incorporated his previous work from 1793 maintaining symmetries and Classical axes. Soane experimented with decoration, using it as a prototype for future work. The house was rendered by Soane using “Parker’s Roman Cement” of biscuit-brown color. This was a new material, patented hydraulic lime render, of his time. The garden side of seven bays has a wooden veranda. In the centre is a shallow pediment on pilaster strips with sunk panels. The entrance has a low centre with a semicircular porch of Greek Doric Columns of the Delos type. The end bays have on the ground floor arched windows with broad Grecian pediment over. Behind the porch is a square entrance hall once with a shallow dome. The window bars are painted dark grey, which causes the window detail to disappear so that pure shapes of openings are clearly visible appearing like punch recesses. Inside there is an all-cantilevered staircase with simple iron balustrade. The gardens were designed by noted landscaper Humphry Repton. Only three other houses of Soane’s are still standing. The house was used as a hospital for most of the 20th century. In 1919 it was opened as a TB isolation hospital, and then became an orthopedic hospital in the late 1950s. In 1960 it was renamed Park Hospital, but closed in 1987 when a new wing was built in Bedford Hospital. From that point the house went into a state of disrepair. Lady Erroll formed the Moggerhanger House Preservation Trust along with the Lord Lieutenant of Bedfordshire Sam Whitbread and architect Peter Inskip. Soane’s lengthy relationship with the house provided a backdrop for him to experiment, said Inskip, the architect who oversaw the restoration. The restoration project took 10 years to complete, and members of the local village and local churches volunteered help and support to complete the work and maintain the site whilst building contractors were working. The house is now used as a conference and training centre for most of the year, but opens as a tourist attraction from mid-June to mid-September, during which time public tours are conducted twice daily. Free access to the grounds is available throughout the year. There is a spacious tea room and children’s play area within the grounds. The house has become a centre of local community activities and its successful restoration has been a triumph for the local village and for Bedfordshire. The Moggerhanger House Preservation Trust, a registered charity, is currently trying to secure funds to restore the 33-acre (130,000 m2) parkland surrounding the house.